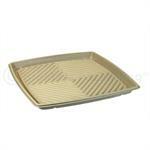 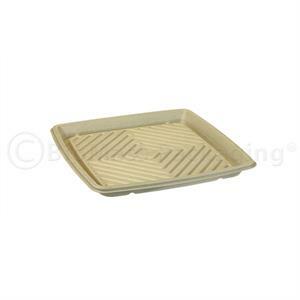 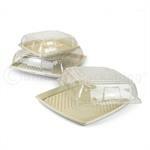 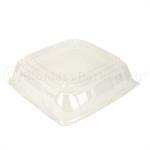 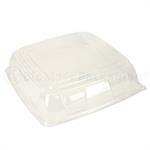 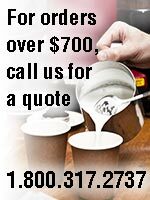 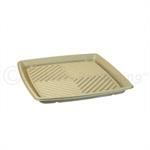 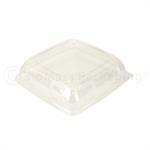 Sturdy pulp catering platters with corresponding lids make transporting and serving food for a large group a breeze. 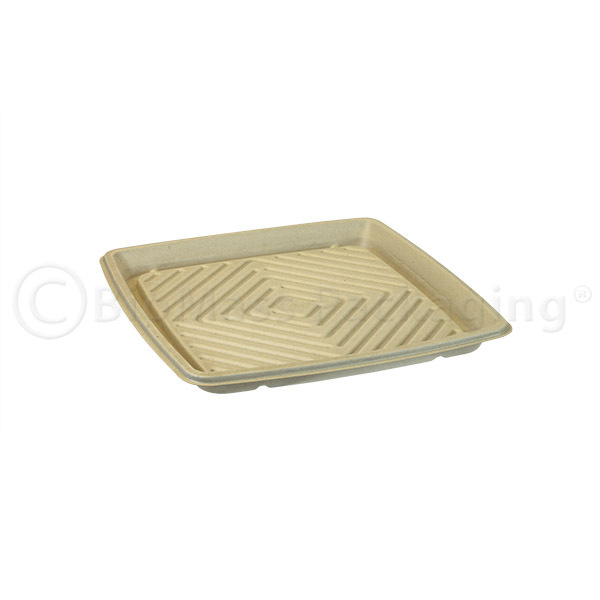 The unique channel design at the bottom of these square platters help to keep things fresh by allowing excess moisture to move away from the food. 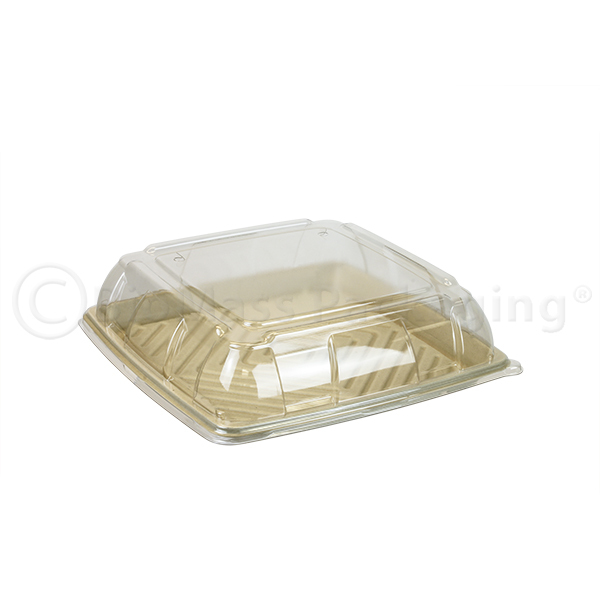 While their clear recycled PETE lid (sold separately) keeps it all contained and makes stacking and transporting easier with a unique slip-limiting pattern that nests into the underside of the container on top.